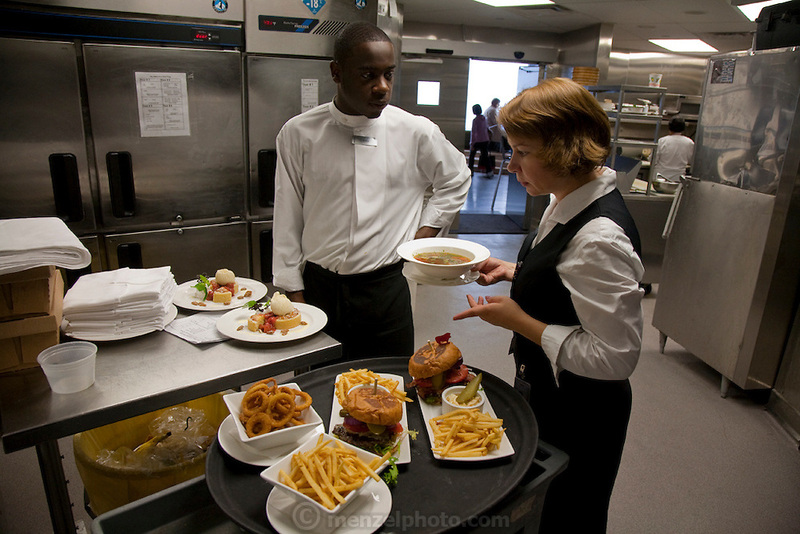 Waitstaff prepare meals for patrons at the world's highest revolving restaurant, located at the CN Tower in Toronto, Canada. The award-winning restaurant has awe-inspiring views and, for a tourist destination, surprisingly excellent food. The pricey entrance and elevator fee of about $25 per person is waived if you eat at the restaurant, making it cheaper to have lunch than to just see the sights. MODEL RELEASED.